The Tourism Conservation Fund exists to reduce wildlife crime in SA by building a more inclusive wildlife economy. We operate as a social venture capital investor with the aim of increasing economic inclusion in our wildlife economy. Our Inclusive Business Linkage Fund finances partnerships and business linkages between formal and informal sector entities across the wildlife economy. We only support initiatives which we believe will succeed commercially after our support ceases. We do not support charities or start-ups. Our partners must be established businesses that have a vested interest in the commercial success of the partnerships they wish to invest in. Examples of some the partnerships we fund are summarised below. The Makuleke Concession, ancestral home of the Makuleke community, is located in the Pafuri region, between the Limpopo and the Luvuvhu Rivers in the northern section of the Kruger National Park. This is a poor area with limited economic potential beyond tourism, which is reflected in high unemployment rates and limited enterprise opportunity. Through a partnership between the Makuleke community and Madi a Thavha Mountain Lodge, and with matched funding provided by the Tourism Conservation Fund, the partnership will support 15 newly identified artisans to establish and run a commercial CraftArt business equipped to produce and sell high quality products in high value craft outlets in lodges, rest camps and retailers across the wildlife-tourism economy. 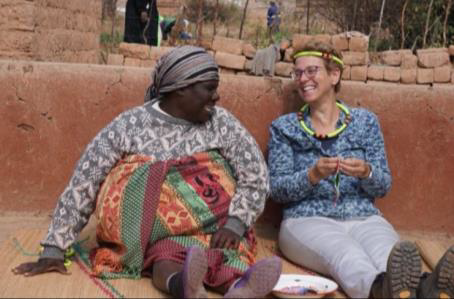 TAHS-SA is a specialist provider of training to rural communities which have the potential to open their homes to tourists and provide authentic tourism and related cultural experiences. 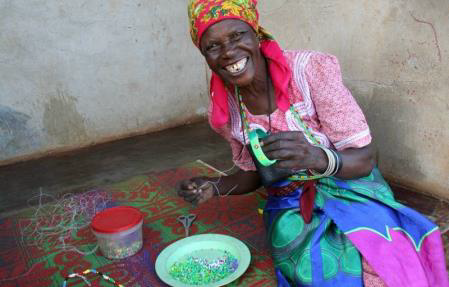 Through a participatory process, partner communities learn over time and through their own experiences and initiatives, to adapt their indigenous knowledge and cultural practices to develop unique tourism products – from village homestays to authentic experiences – which are increasingly sought after by travellers who want more than the Big Five safari experience. This initiative, a partnership between TAHS-SA, Abang Africa Travel and the Tourism Conservation Fund, directly contributes to training and orienting homestay hosts, community guides, activity hosts, artists and the broader community. This enterprise was established by a village entrepreneur to resolve the problem of inadequately trained beauty therapists certified to work in the lodge industry on the western border of the Kruger Park, and to overcome the perennial shortage of skilled beauty therapists across the industry. Funding from the Tourism Conservation Fund and Kapama Game Reserve will capitalise a revolving bursary fund which will finance the training and certification of local recruits and will facilitate their placement in lodges across the area. This will overcome the financing and skill barriers that have historically prevented local villagers from accessing these lucrative employment opportunities in the lodge economy.